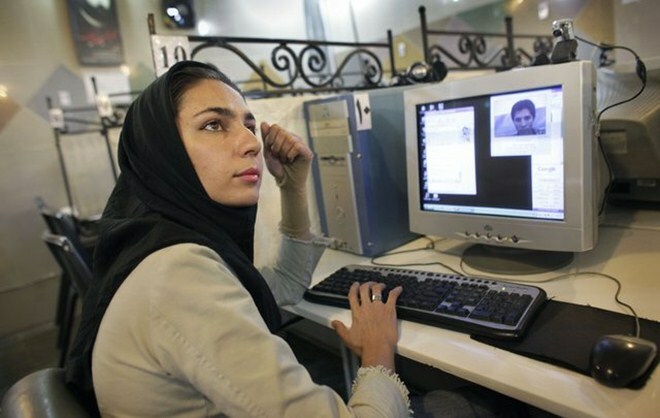 The Internet is already heavily restricted in Iran, but authorities in the country are hatching further plans to crack down on cyberspace by introducing tighter monitoring of Internet users. Internet cafes are required to write down the forename, surname, name of the father, national identification number, postcode and telephone number of each customer. Equally as concerning are the rumours that the country is developing its own closed Internet which could replace the open Web in the country, in a similar style to North Korea’s intranet, where access to the open Web is extremely limited. The Guardian cites local newspaper reports which suggest that “a countrywide network aimed at substituting services run through the World Wide Web” is currently being tested, suggesting that Iran may look to remove itself from the international Internet. Iran routinely blocks links from outside the country, the ‘virtual’ US Embassy in the country was blocked less than 24 hours after launch while The Next Web is also unavailable in the country, but this new move would represent a huge step backwards for the country. Iran has fears of an outside cyber-attack like that of the Stuxnet, and is trying to protect its sensitive data from being accessible on the world wide web. These moves have greater motive, however, as the country prepares for a new election in March. Have the Arab Spring revolutions, and the role that the Internet and social media has played in other elections across the world, made Iran adopt this strong-armed approach to the Web? The government has already begun slowing down Internet speeds for many users and it seems likely that the election is the reason for the new cyber cafe regulations, which will begin in two weeks. It remains less clear whether restricting user freedom it is prime motivation for a possible disconnection from the Web though, but Iran certainly has a track record in moving this way. The Internet in Iran is currently a heated topic in the US as Congress launches an enquiry into Huawei’s alleged activities in the country. US authorities are assessing whether its business in Iran, where it reportedly aided the government in monitoring and tracking citizens, violated US-Iran sanctions that were passed by Congress in 2010.